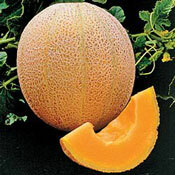 Cantaloupe, also known as muskmelon, is a vining plant that is grown for it large, sweet fruits. 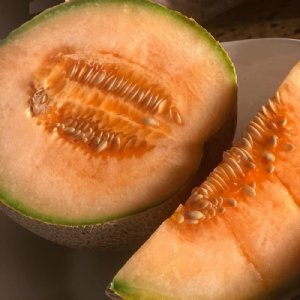 Produces a 5 pound fruit that's true to its name. This 'food of the gods' smells as good as it tastes and is sweet right down to the rind. Offers a sweet, juicy flavor that is hard to beat. Fruits average 3-4 pounds. 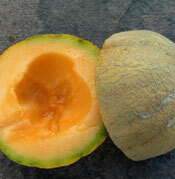 Heirloom that produces consistently sweet melons with small seed cavities. Yum! Fruits weigh 5-6 pounds.